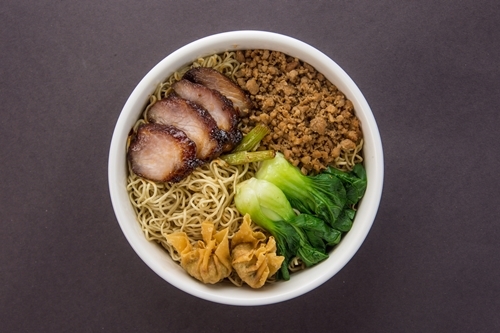 Whether be it Wanton Noodle, Mee Pok Dry, Mee Goreng or Mee Rubus, I am a sucker for all of them as noodle has always been my comfort food since young. Recently while attending an event at City Square Mall, I had an opportunity to dine at a new noodle house on the block in Singapore - Face to Face noodle house (面 对 面). 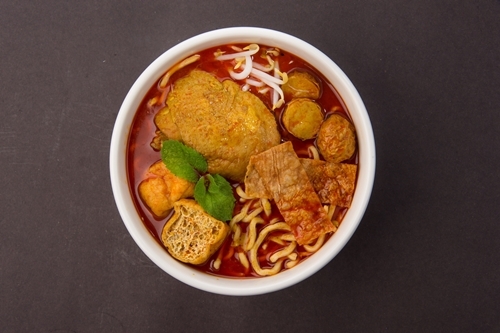 Unknown to some, Face to Face noodle house (面 对 面) is a 100 years old brand name with 30 outlets all over Malaysia and the outlet in City Square Mall is its first venture into Singapore. 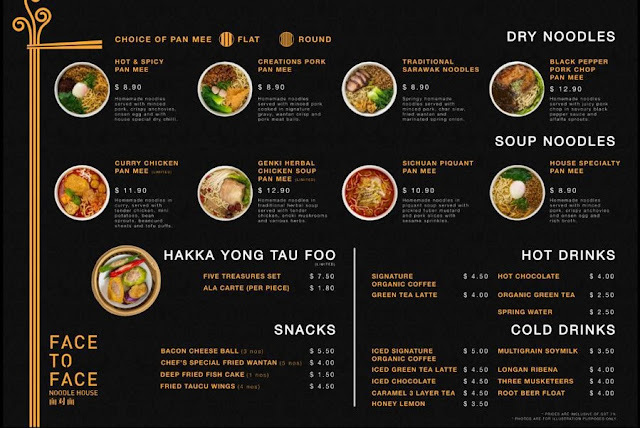 A quick look at its menu suggested that it is a Malaysian Hakka-style noodle store with its exclusive use of Pan mee (Chinese: 板麺, pronounced as ban mian). It's block noodles from the Hakka's method of cutting the noodle into straight strands using a wooden block as ruler. Being Hakka myself, how can I not like these noodles eh? Armed with an empty stomach, I ordered its signature Traditional Sarawak Noodles as well as one of its new Singapore creations Curry Chicken Pan Mee. My verdict on the food? Size wise, I was glad to find the serving portion for both noodles were reasonable large for my hungry tummy and its char siu (叉燒)s and Curry Chicken were thicker and bigger than most noodle stores would serve in a shopping mall environment. Taste wise, I found the Pan mee of Traditional Sarawak Noodles slightly overcooked and was kinda blend while its char siu (叉燒) were too hard and dry to my liking. I enjoyed the aroma of the curry from Curry Chicken Pan Mee but unfortunately it was a little too salty. Like beauty, which is in the eye of the beholder, food is the same for taster; subjective. The battle of the noodle houses has just started and Face to Face noodle house (面 对 面) needs more than its 100 years branding from across the causeway to stay alive here. Before I sign off for my meal, I do suggest all non-halal Huneybees who have dined at Face to Face noodle house (面 对 面) in City Square Mall to share your unadulterated view with me.